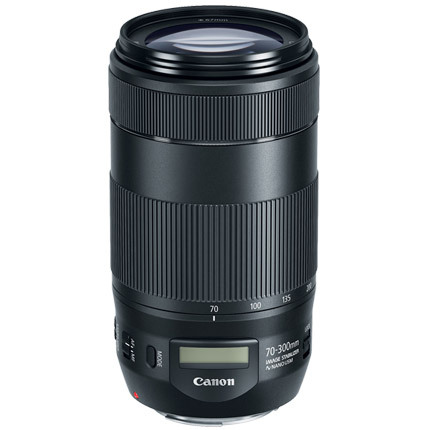 With the EF 70-300mm f/4-5.6 IS II USM telephoto zoom lens. With a wide zoom range and fast, near-silent autofocus, it can be ideal for anyone looking to capture distant subjects. Equipped with NANO USM technology it quickly focuses so you're able to get the exact moment you want, as it happens. 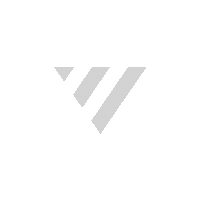 This technology also helps provide ultra-quiet operation while video recording to help ensure the only audio you hear is what you intended to keep. While you're setting up that ideal shot, the new Lens Information Display provides a convenient way to check focal length, focus distance or depth of field with just a quick glance. If you find yourself without a tripod and unable to keep the camera perfectly steady, built-in Image Stabilization will help keep your images as clear as possible despite camera movement. 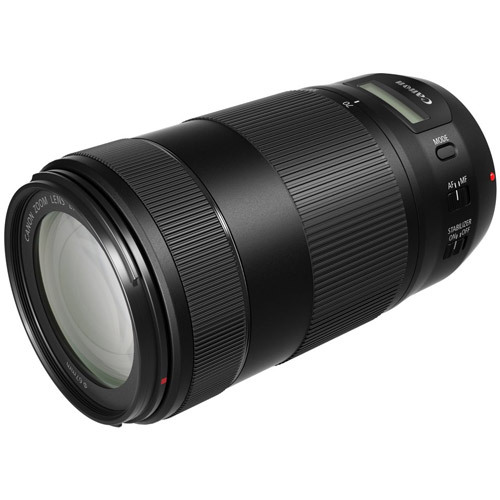 Inside, the EF 70-300mm f/4-5.6 IS II USM has an optimally-placed UD lens element which helps produce high-contrast and high-detail images while reducing chromatic aberrations. Combining a wide zoom range with fast autofocus and high-quality optics, the EF 70-300mm f/4-5.6 IS II USM is perfect for APS-C camera and full-frame camera photographers, or anyone looking to expand their lens options with a fast and powerful telephoto zoom lens. For shooting stills and smooth, near-silent autofocus when shooting video are achieved by incorporating NANO USM technology. Shows focusing distance, focal length and shake amount. Helps reduce chromatic aberration and delivers outstanding high-resolution & high-contrast results. Helps deliver beautiful, soft backgrounds.